Looking for a simple last minute Father’s Day Gift Idea? 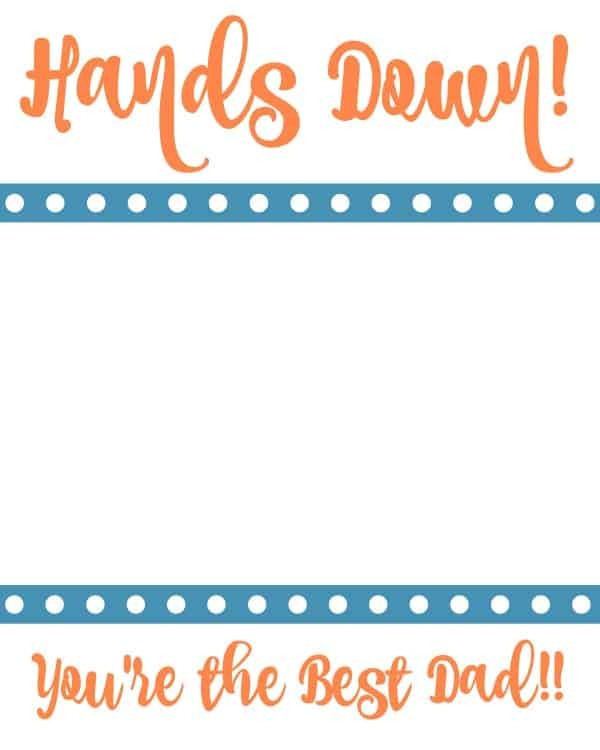 I made this simple Hands Down Father’s Day printable. We plan to dip Liam’s hands in some non-toxic finger paint and make cute little handprints in the middle. Get an inexpensive 8 x 10 picture frame from the dollar store and you have a really nice keepsake that dad is sure to love!